John Monroe has represented employers in the litigation and arbitration of virtually every type of claim that may arise out of the employment relationship. These claims include employment discrimination and harassment, breach of contract, unfair competition, misappropriation of trade secrets, claims arising under state and federal wage and hour laws and family medical leave laws, employment/business torts, claims involving minority shareholder rights and business "divorces". John has extensive experience prosecuting and defending claims for injunctive relief, and has tried numerous jury cases to verdict. John is admitted to practice before the trial and appellate courts of Georgia and North Carolina. He is a member of the firm's Executive Committee and serves as the firm's General Counsel as well as managing partner of the firm's Atlanta office. John is involved in a number of professional and community organizations including the Metro Atlanta Chamber of Commerce, the Lawyers Club of Atlanta and the Atlanta Bar Association. John also serves as a League Director for the football program at Northside Youth Organization. In a recent jury trial, John recovered $1.65 million for a minority shareholder who asserted a breach of fiduciary duty claim. John convinced a state court jury to return a defense verdict in a case brought by the estate of a deceased employee who, based on the terms of an employment contract, sought an ownership interest in the company and over $1 million in damages. 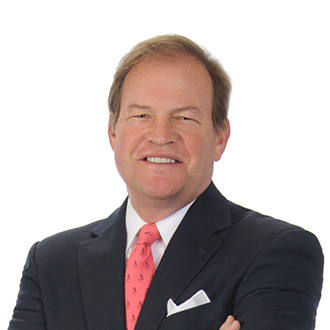 John led a team of FordHarrison attorneys in successfully obtaining dismissal of direct and derivative claims brought by a minority shareholder against current and former corporate officers and directors accused of financial misdealings, corporate waste and other breaches of fiduciary duty. In a recent jury trial, the plaintiff corporation sought an eight figure recovery from the firm's client on a claim of misappropriation of trade secrets. John and a team of FordHarrison attorneys obtained a directed verdict in favor of the defendant on all damage claims. That ruling resulted in the settlement of the case on favorable terms. John convinced a federal jury to return a defense verdict in a reverse race discrimination trial despite direct evidence that the plaintiff's race was a factor in the decision to terminate the plaintiff's employment. John obtained a defense verdict in a claim in which the plaintiff sought over $500,000 in alleged unpaid commissions and a 25% ownership stake in the defendant company. In a five plaintiff sexual harassment lawsuit, John recently obtained summary judgment in favor of management on all harassment and discrimination claims.